I was lucky enough to take many things away from my time in Tanzania but most importantly my career prospects have been enhanced - along with my confidence, skills, exposure and attitude. Not only did my elective count towards my continuing professional development but also it was invaluable to it. My experience was challenging as well as validating. From a midwife's point of view there is a certain energy in a labour ward that’s hard to find back home. When you have 30 deliveries in one shift and a perineal repair required with no stirrups, lights, drapes and only 3ml of lignocaine - it becomes extremely raw and intense. My time in Tanzania gave me the opportunity to develop skills vital to my career in areas not always possible here in Australia. 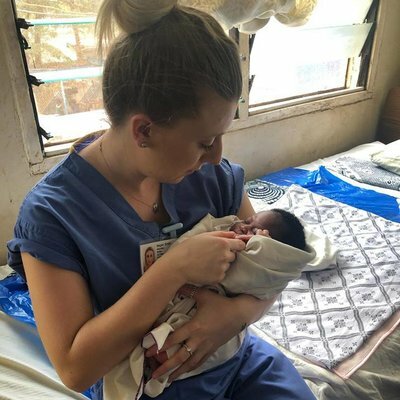 I was able to hone my skills in many areas including breech deliveries, perineal repairs, neonatal resuscitation, caesareans, and as a scrub nurse during a hysterectomy. The entire Work the World experience has made me feel truly blessed to be part of the world of midwives." As if all of this was not enough, Work the World was able to make arrangements for my daughter, Chase, to join me on the wards in Tanzania. With 20-30 deliveries per shift (80-100 per day), Chase and I were kept busy! It was also amazing to see Chase build her confidence. She is now proficient in giving oxytocin injections at delivery for the AMTSL (active management of the third stage) and IMI injections. Under close supervision, Chase was also able to perform her first first-degree perineal repair. Have you ever tried to tie sterile gauze strips around your wrist to keep your gloves connected to your gown?" Each day we would make the trip through chaotic traffic to arrive at the labour ward by 8am, where 4 deliveries would have already taken place. All before lunch, I would deliver a set of twins, deal with a breech delivery and repair a first-degree perineal tear. That particular day I went on to deliver 5 more babies and perform three more perineal repairs. Babies come all day long, yet unlike here in Australia, there are no pre-loaded syringes with MgS04 and in post-natal, the mothers are also 3-4 to a bed. Resources are truly limited here. With only one (huge) glove size available, we had to get creative to ensure sterility. Have you ever tried to tie sterile gauze strips around your wrist to keep your gloves connected to your gown? When you have 30 deliveries in one shift and a perineal repair with no stirrups, lights, drapes and only 3ml of lignocaine - it becomes extremely raw and intense." 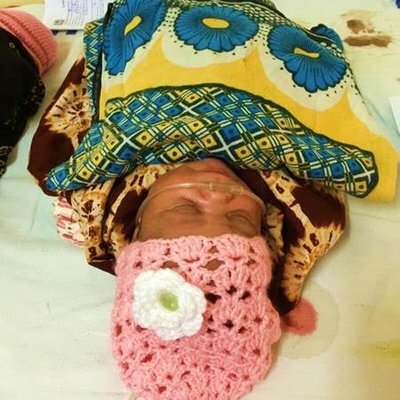 The most challenging example of limited resources was when one of our patients went into a seizure due to Eclampsia. I went to find a syringe to draw up the Magnesium Sulphate loading dose but because it was Easter there were no supplies – so that also meant no syringe. Frantically, I went searching in two other wards; meanwhile our patient was still fitting. Eventually, I found a 20ml syringe in a box that had “Emergency Box” written on it. Our patient was transferred 4 hours later, but it really enhanced my resourcefulness. Chase and I were also called to the theatre for yet another caesarean. Edna, the Tanzanian midwife, took us through the process and again resources were a problem. There were no fancy drapes or fluid catchment pouches and there was only one little noisy suction pump, wheezing its way through basic fluids. Just as the spinal anaesthetic was administered, another doctor popped in to let our supervisor know he had a PPH waiting for surgery (post-LUSC), an ectopic and a cord prolapse. No pressure! 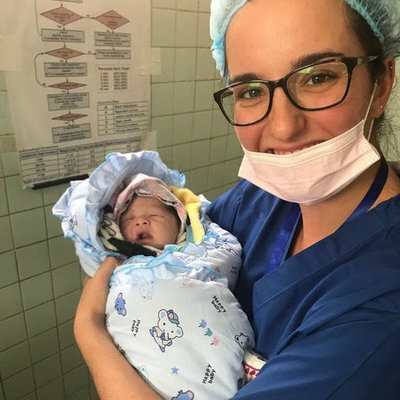 The caesarean was completed in less than 38 minutes, with a good outcome for both mother and baby. My placement was such an amazingly confronting and validating experience." After an already hectic morning, I was lucky enough to follow Dr Moir (a very selfless man who would always go out of his way to teach me) into the obstetrics theatre - with no lights and no air conditioning. At one stage, as beads of sweat dripped from my forehead, Dr Moir used the light on his iPhone to help me with a perineal repair! After, the theatre was then prepared for the PPH, and plenty of drama followed around the absence of drug labels on the IV bottles. Dr Moir asked me to scrub in and I jumped at the chance. 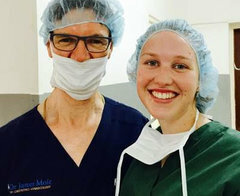 I had never scrubbed into surgery before and while I was only assisting as a scrub nurse, the experience was invaluable. There were many things that I found challenging during my time in Tanzania and HIV transmission was definitively one of them. With intervention, the transmission rate to the baby was only 5% opposed to 15-45% without intervention. Throughout the experience, I had the chance to become extremely grounded in moments of real, authentic joy. For example, after an 18-hour labour with no pain relief, a 19yr old patient, no older than my eldest daughter, sobbed in my arms and kept repeating 'Asante' (thank you). All I could think of was what a privilege to have come so far and be part of this special moment. 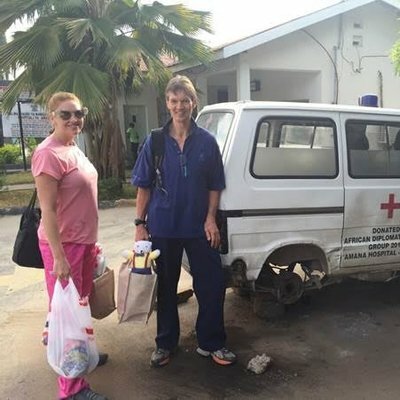 I was lucky enough to take many things out of my time in Tanzania but most importantly my career has been enhanced - along with my confidence, skills, exposure and attitude." 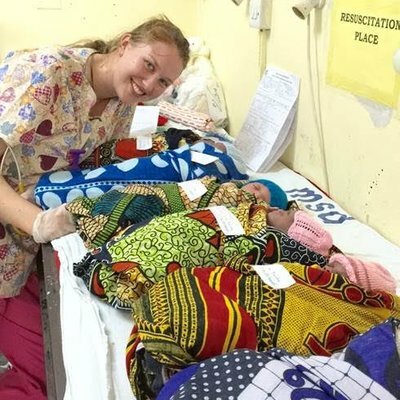 My overseas placement made me proud to be a midwife and a neonatal nurse. What we do has a very special place in the hearts of so many mothers. We touch lives every day and sometimes we don’t reach out to each other enough to say you are appreciated. 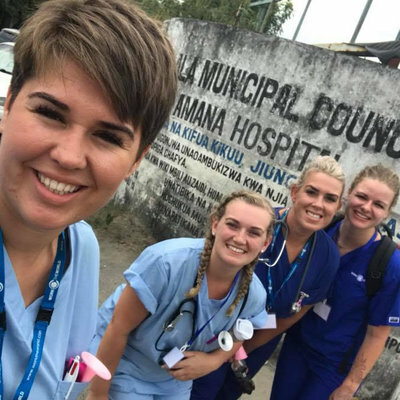 The entire Work the World experience has made me feel truly blessed to be part of the world of midwifery."